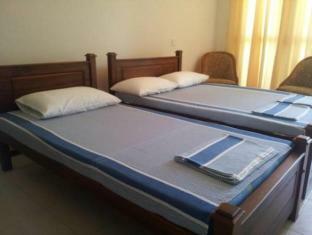 The 1-star Dads Holiday Home offers comfort and convenience whether you’re on business or holiday in Matale. The hotel has everything you need for a comfortable stay. To be found at the hotel are shared lounge/TV area, airport transfer, tours, luggage storage, family room. Guestrooms are fitted with all the amenities you need for a good night’s sleep. In some of the rooms, guests can find shared bathroom, internet access – LAN (complimentary), seating area, refrigerator, air conditioning. The hotel offers various recreational opportunities. Dads Holiday Home is an excellent choice from which to explore Matale or to simply relax and rejuvenate.